Polished Plaster Training Course ‘Milestone moment’ | Viero UK Ltd. This month marks a significant milestone for Viero UK with the launch of its very own skilled training school. Specialist plaster applicators from across the country have signed up for the first in a series of events designed to teach the techniques for applying Viero products. 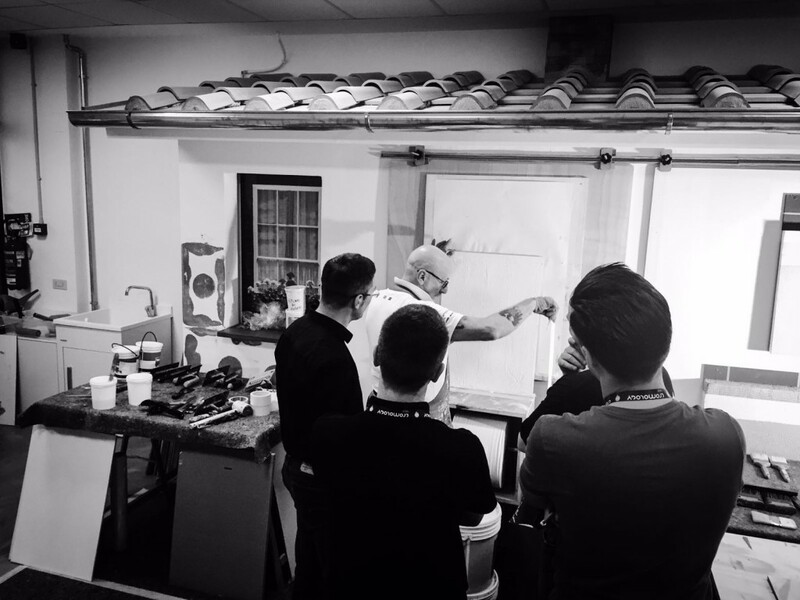 Held at Jo Poulton's paint school, in London, the two-day course acts as an introduction to the brand and allows professionals already in the industry the opportunity to take the first step to becoming an accredited Viero specialist applicator. Attendees of the course will also receive a loyalty discount on all the materials they purchase for their own projects. For Director Chris Walters, this is the realisation of one of his prime ambitions since running the business in May 2014. He said: “The course will give tips and advice on how to apply a range of our products and will allow applicators to expand their offering and give their customers more. “We are keen to grow the Viero brand and our training courses are a key step in making this happen." Viero’s dedicated trainer for the events is Jo Poulton. She brings a wealth of experience to the table having established her specialist decorating business back in 1994. Jo studied at Parson’s school of design, New York, Harry Levinson’s school of Decorative Arts in London as well studying venetian specialist plastering in Venice. This is the first in a series of events being held every month and each are delivered to a maximum of six delegates. “We have been inundated with interest for the courses, but decided to create a cap of six people so the experience reaches the quality we feel is necessary,” added Chris. “We want the training to be delivered to small groups and for questions and conversation to be free-flowing. More courses are being planned for later this year. If you’re interested in signing up, contact dwragg@viero.co.uk or call 0870 609 2827 today. Check back on the Viero blog later this month for a full round-up of how the first event went, including feedback from the delegates who attended.